JOANADDICTED: for the last february outfit..
chose: Religion dress, Calzedonia tights, ippolito bag, no-name shoes, myhumbleworkshop collier and many loverings. oh and my fav purple lipstick. 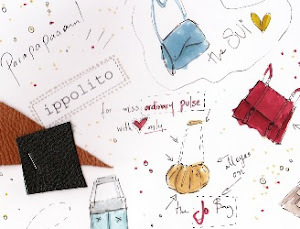 need to get me an Ippolito bag a.s.a.p. indeed, the bag is beautiful! ooo guys i'm in love! her name is maya!!! !